This is one of my current work in progress projects, it's an original cyberpunk inspired character. I'm currently focusing on the clothing. All shots are realtime in Marmoset Toolbag 2. Some extreme lighting tests to check to see how the skin and hair were looking under different conditions. 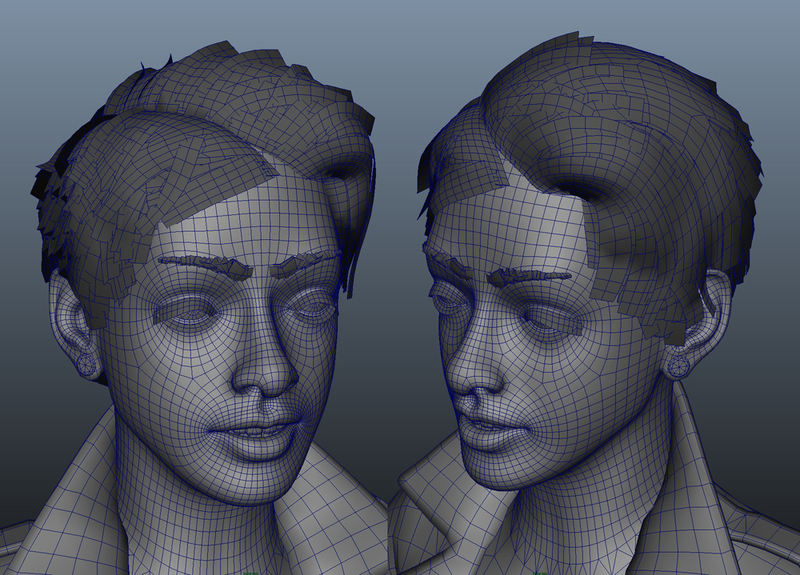 Along with a wireframe shot of the head and hair.